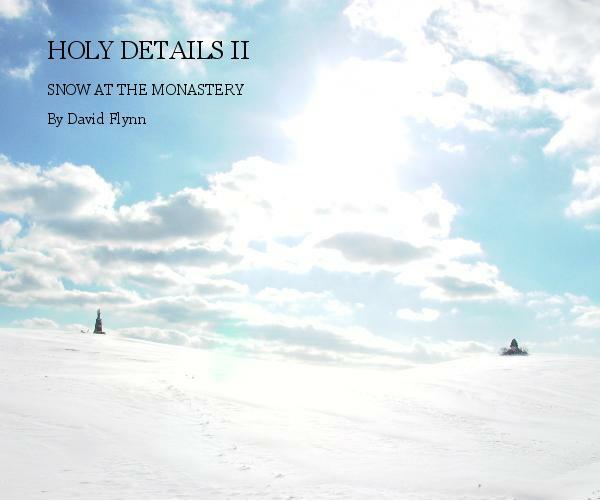 Holy Details II is a collection of photographs taken at the Abbey of Gethsemani, KY, after a huge snow storm. All proceeds from sale of the book will go to the monastery. The author was on a retreat that weekend when 10 inches of snow fell. The Cistercian monks who live at the Abbey maintain a vow of silence. The usual silence of the monastery became even deeper. A walk in the woods was full of white beauty. The statues scattered along the forest paths were clothed in snow. Gethsemani was the home of the famous 20th century theologian Thomas Merton. In the details of these photographs is God. This is a sequel to the first volume, Holy Details I. That contains photographs taken on a weekend without snow. Buy the Hardcover, Paperback or Downloadable .pdf File at Blurb.com. Holy Details II is a collection of photographs taken at the Abbey of Gethsemani, KY, after a huge snow storm. All proceeds from sale of the book will go to the monastery. The author was on a retreat that weekend when 10 inches of snow fell. The Cistercian monks who live at the Abbey maintain a vow of silence. The usual silence of the monastery became even deeper. A walk in the woods was full of white beauty. The statues scattered along the forest paths were clothed in snow. Gethsemani was the home of the famous 20th century theologian Thomas Merton. In the details of these photographs is God. This is a sequel to the first volume, Holy Details I. That contains photographs taken on a weekend without snow.